Mom finally paid attention to my blog (yey!) It's been abandoned for months and I am glad that she actually decided to pay attention. So as you can see she is changing the look and she is not done yet but hopefully ( please MOM) she will finish updating this site. 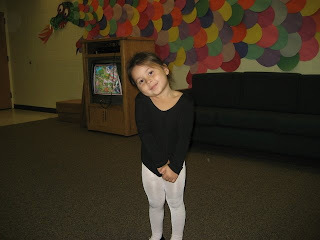 Moving on to more exciting topic, I have been going to my Ballet class and so far, I have fun and I am actually learning. My dad chose to work overtime on Sundays because he wanted to show support for his unica ija every Saturday. I have 2 more classes left and I guess I have to wait til next year to start Ballet 2. 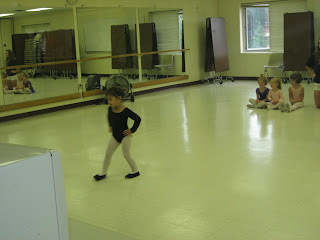 Check out my pix during Ballet 1. I am definitely having fun during Ballet Class, although my mother kept telling me to stop talking to my friends while teacher is lecturing but sometimes my friends won't leave me alone. see? it's not my fault! how many times I told her that but she just don't believed me. Mothers! Anyway, my mom has a new site about food( again) and she is actually paying attention to posting new stuff(hopefully she sees my blog that way too). Visit her newest blog Delish Dish and you can find recipes that you can also try. If mom will hurry up and take a shower probably we can go to the store and buy some ingredients for Blueberry Cheesecake that she has been promising me for days! hello dear miss princess...you look sooo cute in your ballet outfit. looks fun! have fun today hugs! Hello princess, how are you? WOW! You look great on your ballet!